Sydney Holt is one of the men named on the Bottesford ‘church list’ of WW1 Servicemen. However, it is not clear what his connection to the village was. Sydney Holt was born in the second quarter of 1890 in Grantham. His father, John Holt, was born in 1852 in Retford, Notts: his mother, Mary Holt (neé Staniforth) in 1852 in Heckington, Lincs. John Holt was a police constable in 1891, when the family lived in George Street, Grantham. They had five children: Lillian (b.1877), Ellen (b.1879), William (b.1883), Edith (b.1888) and Sydney (less than a year old). They were still in George Street a decade later, in 1901, but by this time his father had left the police and was working as a ‘fettler in ironstone’. Ten year old Sydney and his sister Edith were at school, presumably, but their brother William, now aged 18, had become a “core maker” (it is unclear what this means). By the census of 1911, Sydney, 20 years old, had left home and become a fitter’s labourer at an engineering firm, living as a boarder at 5 Colegrave Street, Lincoln. John Holt died and was buried in Grantham in 1911, aged 58. Sydney’s marriage certificate (from 1918) gave his father’s profession as that of a silversmith. There are several individual pieces of documentary information in the National Archive regarding Sydney Holt’s war service career, but they are confusing in part because they are poorly preserved (faint writing, smudging) and hard to read. His career is unusual in that although he joined up very early, in September 1914 and remained in the Army until February 1919, and served most of that time in the Lincolnshires, one of the front line infantry regiments, he apparently did not spend any time overseas. There is nothing to explain what his duties were during all this time, or where he was stationed, until 1918 when he was assigned to ship building work. There is a ‘Temporary Attestation’ paper for Sydney Holt aged 24 years 3 months, living at 31 West Lulworth, Wareham, a ‘machinist (planning)’, but no service number or regiment was assigned at this stage. On the reverse of this his wife’s name and address had been added (in 1919), together with the information that he served at Home from 2/9/1914 to 5/2/1919. He attested a second time, a few days later as recorded below, at Lincoln, where he joined the Lincolnshire Regiment as Private 12780. 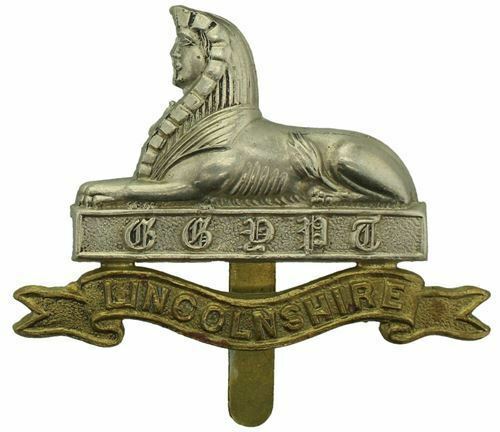 Sydney Holt served with the Lincolnshire Regiment and his attestation stated 3 years Short service, his Service Number was 12780. His occupation when he attested was given as that of a clerk. He passed his medical at Lincoln on the 10th September, 1914, and pronounced as ‘fit’. His Next of Kin were his mother, Mary Holt of 22 College St, Grantham, and his brother William, of 10 Thomas St, Spalding. His records indicate that after he joined the Lincolnshires in September 1914, and serving with this regiment for almost four years, he was transferred briefly to the 24th Battalion, Liverpool Regiment, from the 16th July, 1918, then transferred again to 339 Company, Royal Defence Corps, on the 15th October, 1918. It is most probably at this time that he received his second service number, 94245. There is also a record that in 1918 he was sent to work in ship building, possibly during his spell with the Liverpools, but the writing on this record is so faint that it is difficult to be certain of the details. There is a telegram stating that he was transferred to 21 OCB, Fleet, Hants, on the 8th February, 1917, from the 3rd Lincolnshires, though there is reason to think he had earlier been in the 7th Lincolnshires. His records also include a series of notes and telegrams sent between branches of the Infantry Records Offices at Preston, London and Lichfield regarding his transfer to the RDC, in that the record appears to have been mislaid for a while. He remained with the R.D.C. only about four months before being discharged from the army altogether on the 5th February 1919, with a physical disability. His address at this time was given as “Rutherglen”, South Parade, Skegness. It may be that, after the war had finished, he and Louisa decided to move to Lincolnshire, possibly because Sydney’s mother and other relatives lived in the area. In February 1918, a record regarding his pension gave his home address as 31 West Lulworth, Wareham, Dorset. His rather smudged medical records refer to what appears to be “Syneuritis right knee and (?) veins”. 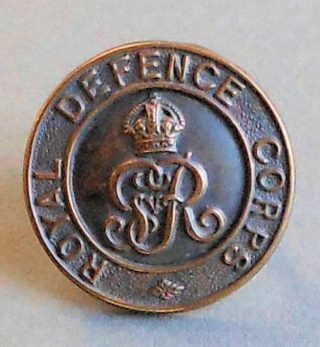 In July, 1920, he received Silver War Badge 482921, the record for which confirms that he did not undertake overseas service during his time in the army. This is the subject of a notice, issued on the 24th August, 1920, confirming that he was awarded the War Badge and Certificate, stipulating: “Badge to be worn on right breast or right lapel but not in naval or military uniform.” There is also confirmation of a Medal Index Card for Private 94245, R.D.C., but details of his medals have not been found. On 26th June, 1918, Sydney Holt married Louisa Emily Chaffey, daughter of a coal merchant, at the parish church in West Lulworth. He was 29, a soldier and living there. Louisa was aged 30 and also living in West Lulworth. Sydney’s mother, Mary Holt, died in the following year, 1919, at Skegness, aged 67. Sydney, born 4th May, 1889 (it should have been 1890), and Louisa, born 20th February, 1888, appear in the 1939 Register, living at 12 Bradley Road, Croydon. At this time he gave his profession as a “publisher (export department)”. Sydney Holt died on the 25th September, 1963, aged 74. He had been living at 20 Oxford Street, Grantham. He left £169 to his widow Louisa.